I’m still awaiting news on the overhaul of Oscar Romeo’s engine. I don’t think it’ll be ready for re-build until late December, early January, so I’m not expecting to hear any news for a few weeks. I’m hoping I’ll have the time to return to the workshop and see the rebuild process, as that could be fascinating. I’m sure you all know by now, that the engine has suffered from corrosion, and most of the internal parts are now scrap metal, you can find out more here. Even though Oscar Romeo is grounded, I filmed extensively over the summer, and so I have plenty of videos up my sleeve. 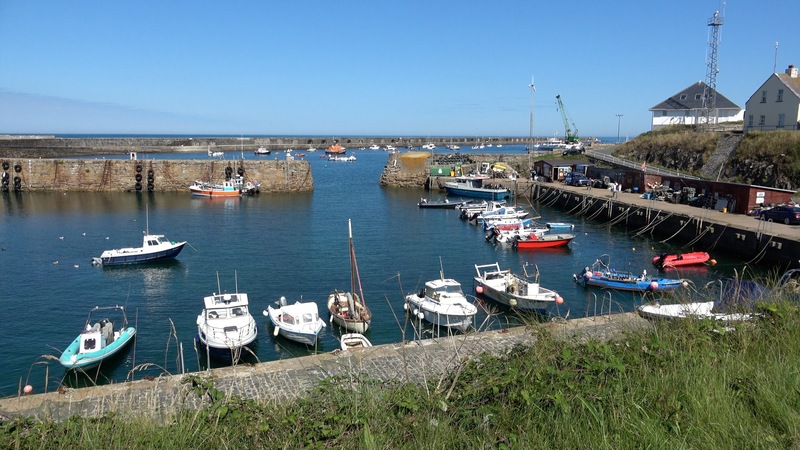 In the next episode on The Flying Reporter YouTube channel, I make a day trip to Alderney in the Channel Islands. Alderney is just a 90 minute flight from Redhill, and I couldn’t resist the trip when I saw the weather forecast. The flight went smoothly, apart from a touch of the ‘leans’ when I levelled out at altitude, and my inability to find one Alderney’s VRPs on my SkyDemon. It turns out I was zoomed in too far. The Alderney video comes out on general release on Saturday 30 November. If you can’t wait that long, sign up for any one of my subscription levels, and you can watch the video now, ad-free. 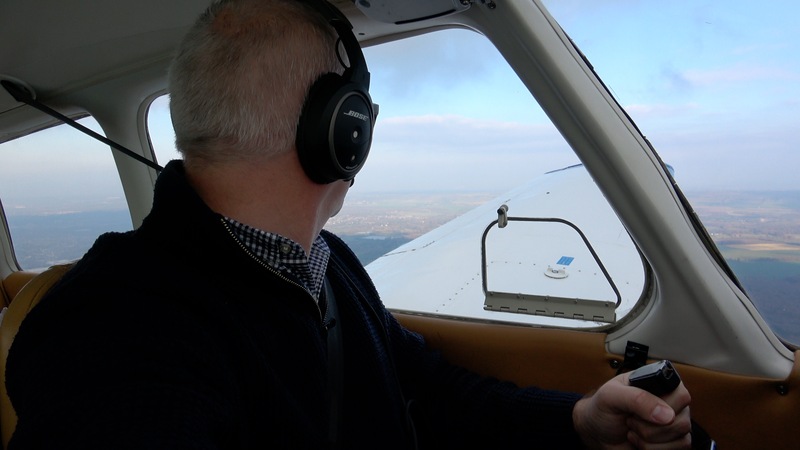 If I don’t fly I start to lose confidence, and so it is important to me that I at least try to get airborne once a month over the coming months. Luckily, the owners of the Warrior I used to fly before Oscar Romeo, got in touch and offered me a lifeline! They know the pain of an engine overhaul, and offered me use of their PA28 at a reasonable rate while we get our engine sorted. Thank you David. So I flew from Biggin Hill this week in India Zulu, and she hasn’t changed one bit! It was just a one hour local flight down to Folkestone and back. The weather was pretty marginal over north Kent in fact, and it took nerves of steel to keep going. 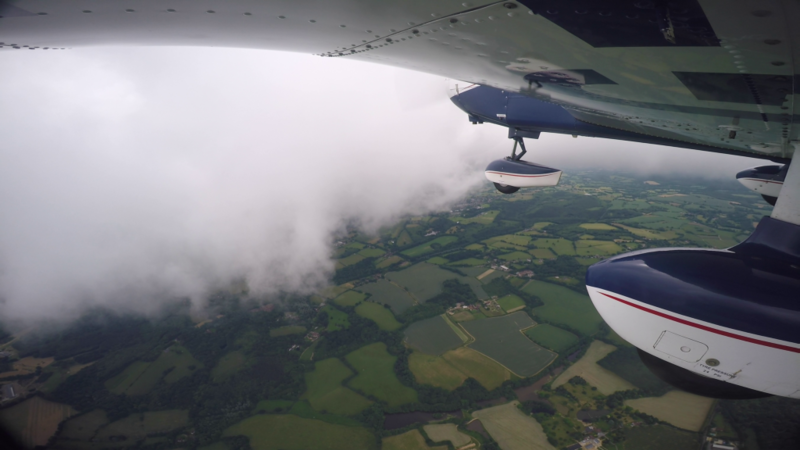 With the freezing level being somewhere between 1000-2000ft, the low cloud and drizzle around was a concern. I had to abandon my original plan to route around the coast to Deal, and then return via Canterbury, because there was a block of low cloud just to the north of Ashford. I made a short video of my day out. It’s not a typical flying video as such, but it’s bonus content available to all my subscribers who’ve signed up here. 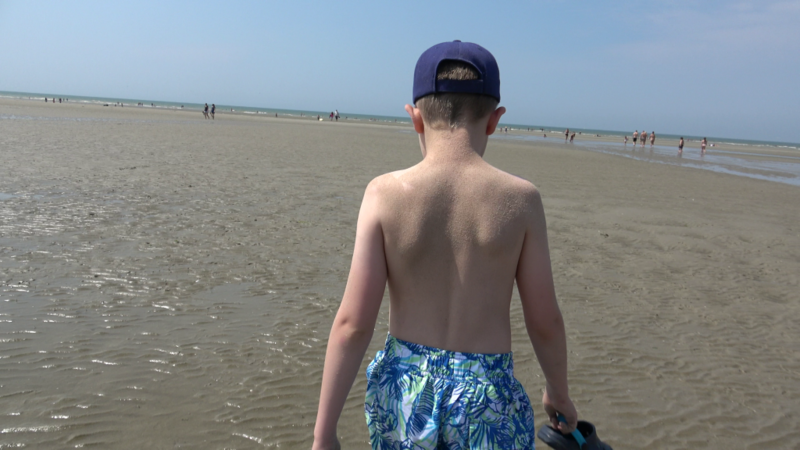 Bertie and I flew over to Le Touquet in the summer, and had a glorious day out at the beach. We had a slight heart-stopping moment at the holding point at Le Touquet when I thought I could smell smoke in the cockpit. The engine misfired a bit too. A sign of what was to come perhaps? I practised an RNAV approach at Lydd in IMC. That will make a video in the coming weeks. 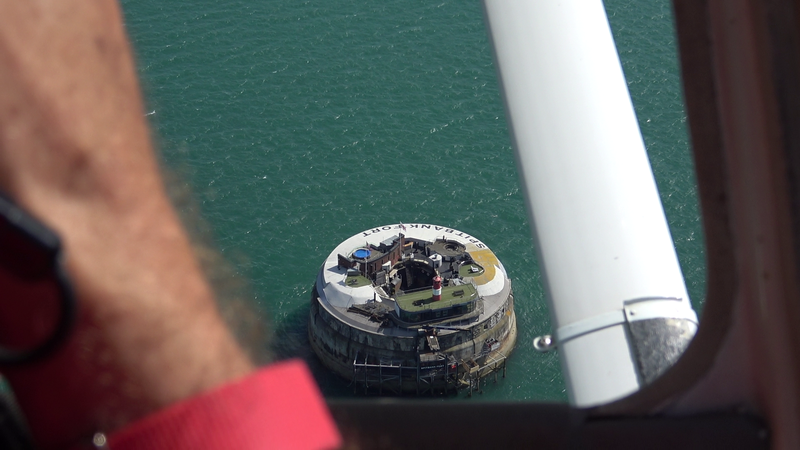 In another forthcoming episode, I help banner-man Simon Moores with an aerial proposal over Spitbank Fort in the Solent. So there’s lots of great content still to come! I am always on the look out for new and interesting content to bring to the channel. I was approached a while back to film something really great, but unfortunately the organisation then wanted me to sign a 13 page contract that I feel would have eroded my editorial control. The organisation wanted control over when I started and stopped the camera, a right to view the video before publication, and a right to request edits to it. For many of you, this might seem reasonable, but there are very important journalistic principles at stake here. A publisher must retain editorial control, in fact it’s a legal requirement for broadcasters, because if they don’t, the audience can have no trust in the journalism. A journalist must be able to publish the truth, without fear or favour, and only then will the reader/viewer trust what they are seeing/reading. I declined to sign the contract or agree to the terms. I may have missed out on producing some great content, but I am not prepared to compromise editorial integrity. As an employee of the BBC, even in my private business I am required to abide by the corporation’s Editorial Guidelines. The BBC does not offer the opportunity for contributors to see or hear programmes prior to transmission, save in exceptional circumstances. Any viewing or listening rights provided to contributors or facilitating organisations should not include a right to demand changes. ….care is needed to avoid compromising editorial integrity. This may be threatened by stipulations over what can and can’t be recorded, the right to call a halt to recording, and – most notably – rights over the final edit. 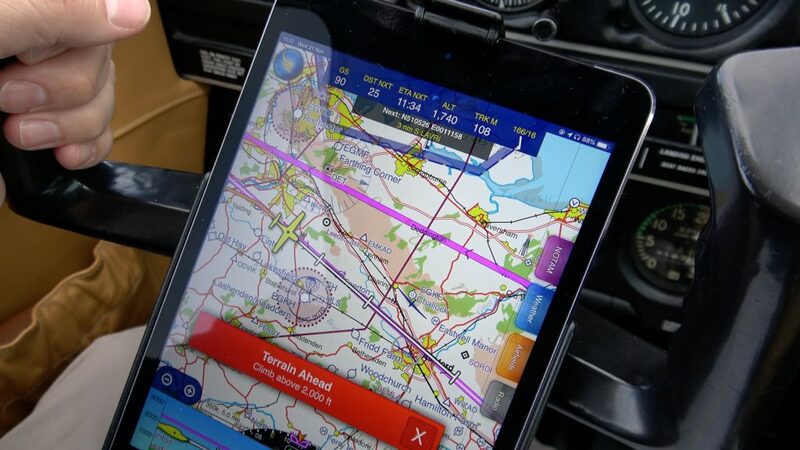 If you have any ideas for future content, or you’re from an organisation or aviation business and think a feature will be a good idea, then please get in touch. Please be advised though, that I abide by standard editorial principles! Finally, some great news. This week I reached the YouTube milestone of 10,000 subscribers. This is fabulous, and thank you to each and every one of you! If you haven’t subscribed on YouTube, then please do if you can. The numbers really help when trying to persuade people and organisations to assist and participate. If you know anyone who you think would like the content I produce, please don’t forget to let them know too! Until next time. Fly safely my friends. Be the first to comment on "Newsletter 25/11/18"
If you’d like my newsletter delivered to your email inbox, sign up here. 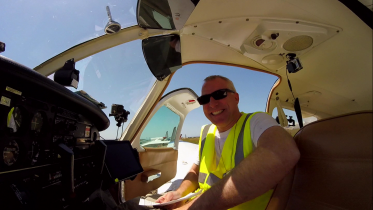 Jon Hunt, The Flying Reporter, is a regional TV news reporter, and private pilot based in south east England.